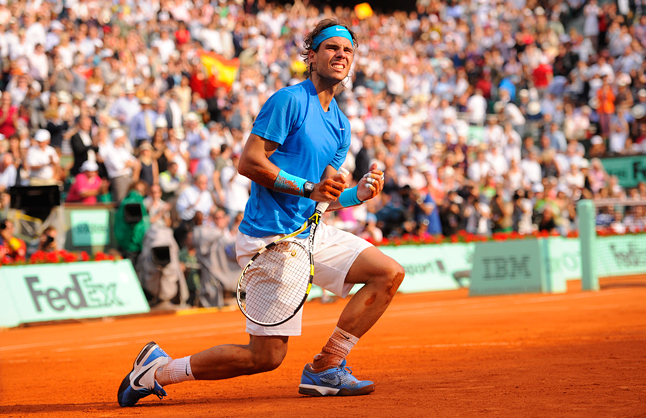 Rafael Nadal is shooting for an unprecedented twelfth title at the Monte Carlo Masters! Can anyone stop the bull from claiming the crown again? Could the event give us another Rafael Nadal versus Novak Djokovic blockbuster this year? Novak is injury free at the moment and has won this event twice in the past and, therefore, quite capable of winning again this year. He, however, was injury free at the Miami and Indian Wells events also but didn’t fare well there. Novak Djokovic will do better on the clay because of the basic grinding nature of clay-court matches. Novak, we believe, is suspect in a best-of-three-set format, because any reasonably hard-hitting opponent or shot-maker, willing to take a few risks and play aggressive tennis, can outgun Novak’s baseline grind. The clay and five-set format, however, allow Novak more time and longer points to settle in and unleash his baseline magic. Novak’s first match could be either against Thanasi Kokkinakis or Philipp Kohlschreiber, and neither of them can beat a healthy Novak on the clay. Kohlschreiber upset Novak Djokovic on the hard court in the BNP Paribas Open last month, but the clay requires a more consummate grinder, than either Kokkinakis or Kohlschreiber, to out-play a healthy and confident Novak. Diego Schwartzman could be a minor nuisance for Novak, but even he lacks the heft to take out a healthy Novak. A possible clash against Stefanos Tsitsipas, we suspect, would also be a let-down because Tsitsipas’ aggressive style is yet to prove itself on the clay and, we believe, he still needs more stamina and a few more pounds in muscles to outlast Nadal, Theim, and Djokovic on the clay. Novak’s path to the semi-finals, therefore, is strewn with light-weights on the clay. 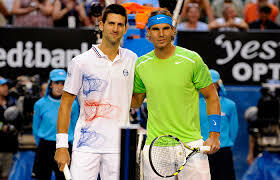 In the semi-final, however, Novak Djokovic could face the first real challenge – of the tournament – against Dominic Thiem. That match, we believe, would be a barn-burner and could spell an end of the road for Djokovic. Dominic Thiem, on the other hand, could lose earlier and never make the semi-finals. Semi-final: Novak Djokovic versus Dominic Thiem. Rafa is the undisputed king of the clay and has a million clay-court trophies to prove it. He is the favorite in any clay court tournament he enters and has another good shot at winning the title here. Rafael Nadal’s draw, we believe, is a little trickier than Novak’s and could pit him against Bautista Agut – another seasoned dirt-expert – in the first match. In the next round, neither Shapovalov nor Dimitrov have the clay-court credentials to bother Nadal, but Stan Wawrinka, in the next, could test the bull’s clay-court preparedness. Of the possible semi-final contenders, only Fabio Fognini have the game to irritate the bull. Nishikori, and Alexander Zverev, however, would be easy for Nadal to handle in the semi-final. The prospects of Fabio making the semi-finals, however, are as real as a 36-year old dude winning a slam! Semi-final: Rafael Nadal versus Borna Coric. ← Are Novak Djokovic, and Robin Soderling in the Roger Federer fan club?